Phones for a penny. Yes, a penny! When your employees return to work in the New Year, they’ll be using a technology that makes them more productive! They will be freed up from their desks. They will no longer have to check multiple voice mail boxes. And, they will be able to control when and where they answer all calls, whether they are in or out of the office. Want to hear what else Nowicky (and other customers) have to say about TDS managedIP Hosted? 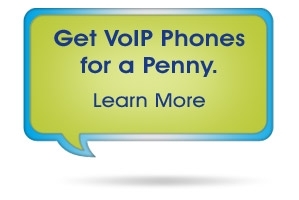 After you watch their videos, check out the details on getting your phones for a penny. Sign up today and get ready for 2013. *Offer valid for new managedIP Hosted customers only who sign a 60-month managedIP contract December 1-31, 2012. Offer subject to the terms and conditions as outlined in the TDS services agreements & addendums. Not all sales will qualify for one cent promotion. The promotion is not available in all service areas. Talk to your TDS representative for more details.